The search for a major trophy with Argentina for Lionel Messi continues as La Albiceleste enter the Copa America Centenario, to be played in the United States of America. After missing out by a whisker last time in the tournament, where they were defeated by hosts Chile in the final on penalty shootouts, the South American giants will want to rise up and win the tournament this time round. Gerardo Martino named a Europe-heavy squad, with 17 players who ply their trades in Europe making the final cut. The Leo Messi-led team heavily depends on their attacking flair and the forwards will have to take the onus of carrying the team forward in the tournament. 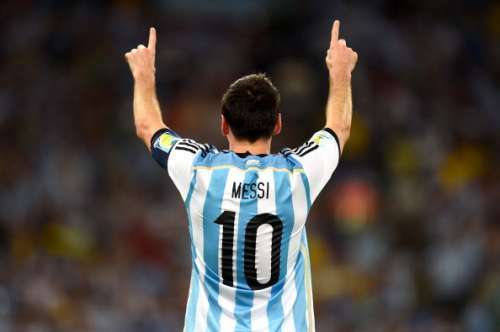 Argentina are part of the Group D along with Chile, Panama and Bolivia. They play their first match against Chile on June 6 at the Levi’s stadium in Santa Clara. Tata Martino won’t have to ponder much about the offensive force of the team but the defensive frailties can cost the team some important matches. Whatever the composition of the team, La Albiceleste are one of the favourites to win the tournament and here’s how the team might line up come the 6th of June. 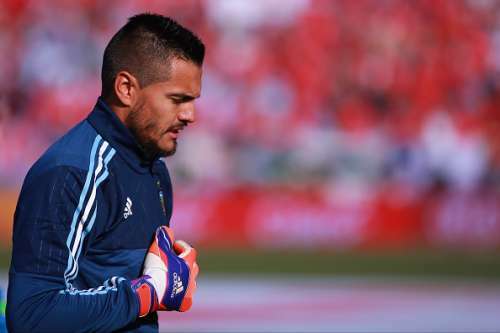 Three goalkeepers, namely, Sergio Romero, Nahuel Guzman and Mariano Andujar have been picked by Martino in the squad. Andujar, currently on loan from Napoli to Primera División de Argentina club Estudiantes, played 12 games for his club this year and made 23 saves along with keeping 6 clean sheets in the process. On the other hand, Guzman plays for Tigres UANL, a Liga MX football club in Mexico, for whom he played a total of 19 matches and made 42 saves. However, in all certainty, Manchester United’s Sergio Romero will start, despite him playing just 7 matches for his club in the whole season. Given Romero’s experience at the biggest of stages in World Football, he will be the perfect choice for the Argentine team in the tournament.